Don’t let your customers move faster than your company does with digital interactions. 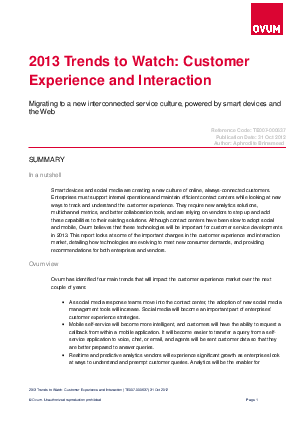 Migrate to the new interconnected service culture, powered by smart devices and the Web to beat the competition and satisfy customers. Read this document to see how you too can climb up to cloud level and use new multichannel applications as your customer service solution.